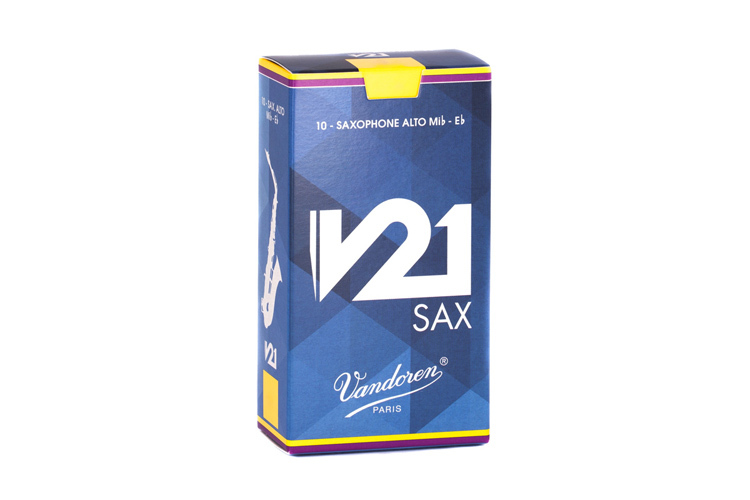 Vandoren introduce the new V21 reed to the market in 2016. They describe it as: 'a premium, versatile reed. In any style - with any mouthpiece - you'll achieve maximum results with the V21'. Technically speaking the new V21 is unfiled, like the Java Green, V16 and ZZ and is the first Sax reed to have a conical shape. It offers a clean, centred sound with more warmth than some of the jazzier alternatives but without sacrificing the projection. The V21 offers precise articulation and in terms of strength is positioned around a quarter strength under the Traditional Blue Box. The quality of this new reed is excellent but I find the reed is not suited to me as I cannot seem to play consistently, I play V16 and back to back I prefer the V16. Excellent new product. Vandoren are now getting real consistency with their reeds and I always know exactly what to expect from them! Little tried yet but like them for Bb clarinet so hopeful.